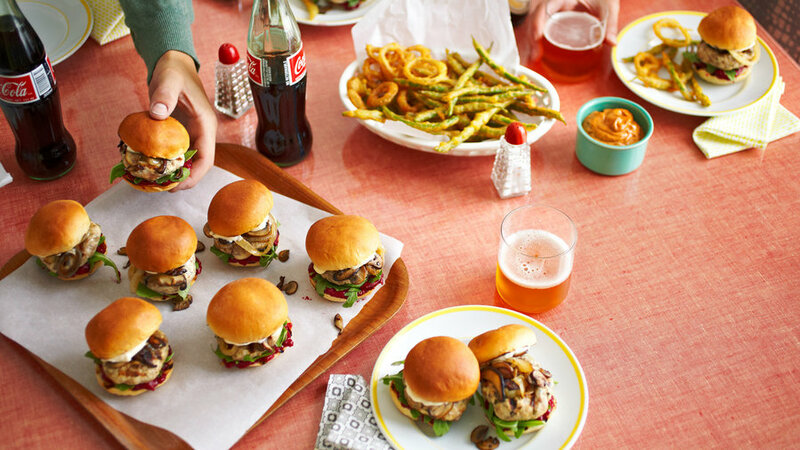 This menu evokes classic American style with a modern Western twist: turkey sliders, fried green beans and shallot rings, pumpkin bourbon shakes, and mini pecan pies. 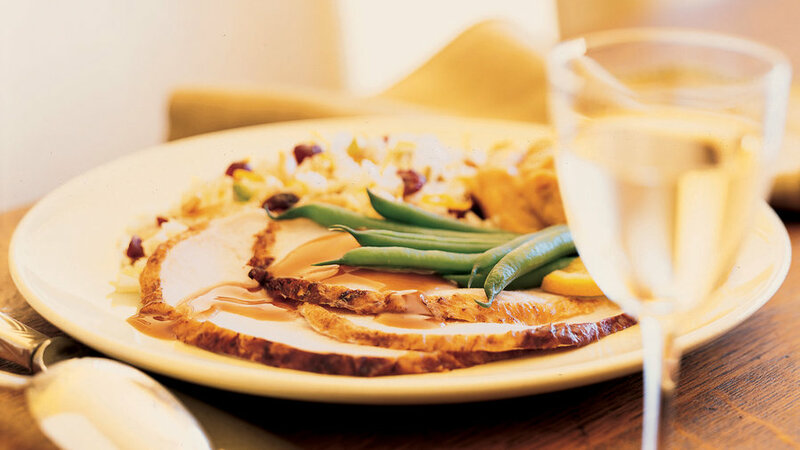 This locavore menu celebrates heritage turkey, wild mushrooms, Ozette potatoes, and cranberries all grown in the West. If the weather's warm, take your holiday outdoors. 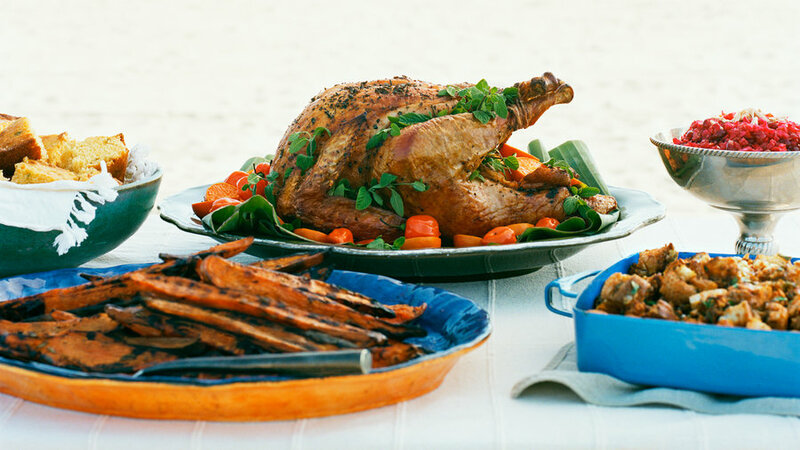 The turkey cooks on the grill, and traditional side dishes get a Mexican Thanksgiving twist. 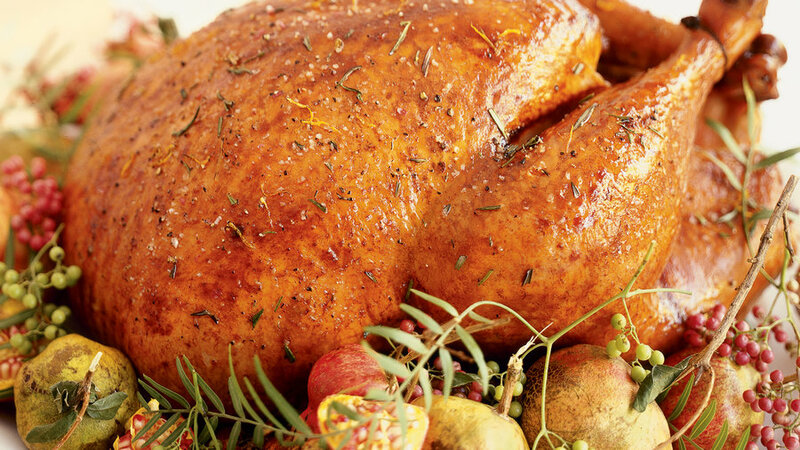 Time-saving techniques turn this sophisticated Thanksgiving menu into an easy to prepare feast for the modern family. Butterfly and grill the turkey this year and it will be ready for the table in no time. 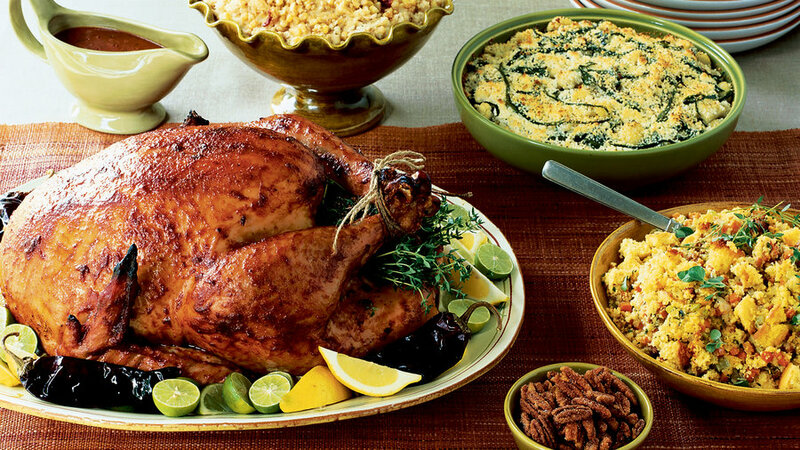 The traditional Thanksgiving menu gets an upgrade via flavorful ingredients that boost the holiday classics. Mascarpone Chive Mashed Potatoes and Cranberry Cointreau Sauce are sure to be perennial favorites. 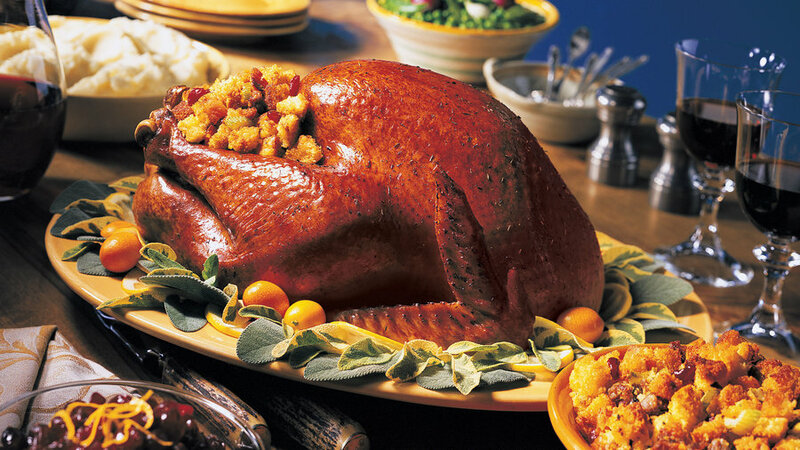 Thanksgiving is about much more than just turkey. 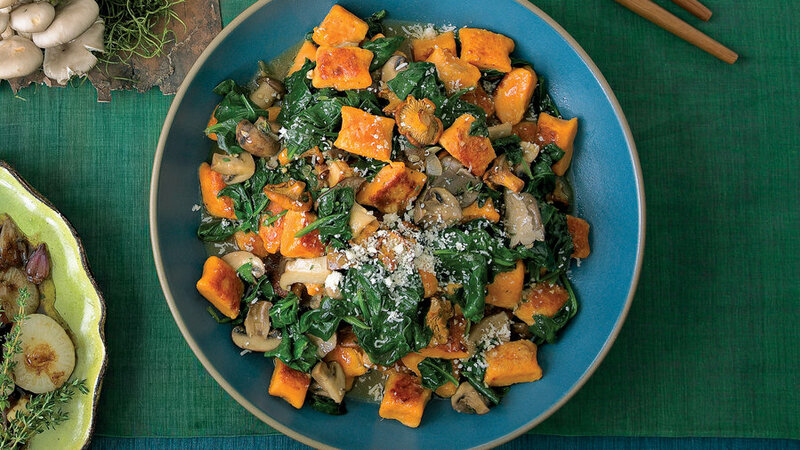 This year, give thanks for the season's rich bounty with this menu, featuring a recipe for Sweet-Potato Gnocchi with Mushrooms and Spinach. 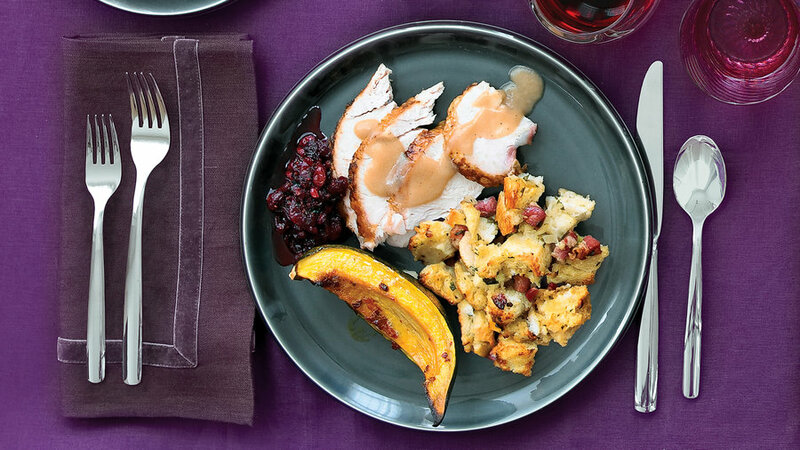 Divvy up the work with this mostly portable Thanksgiving meal. The Gorgonzola Broccoli Casserole is always a hit. All the traditional favorites with a spicy, Southwest flair. You'll love the Cornbread-Chorizo Dressing and Chipotle-Corn Mashed Potatoes. 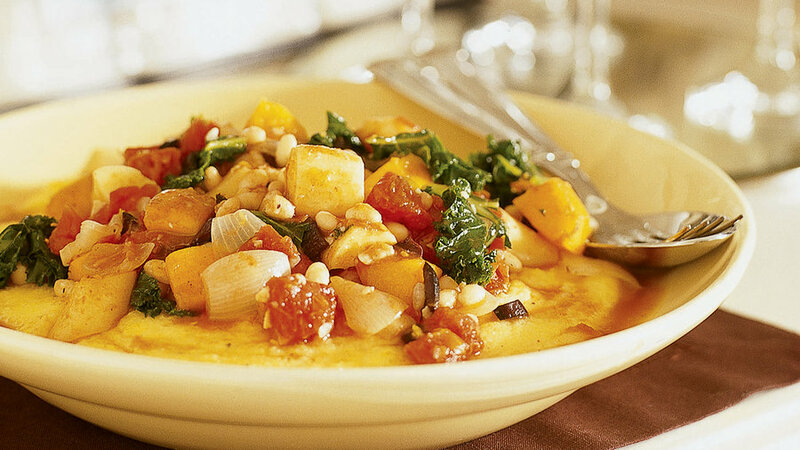 This colorful and festive vegetarian meal showcases the season's harvest. This menu was inspired by a group of friends who loved to cook together. 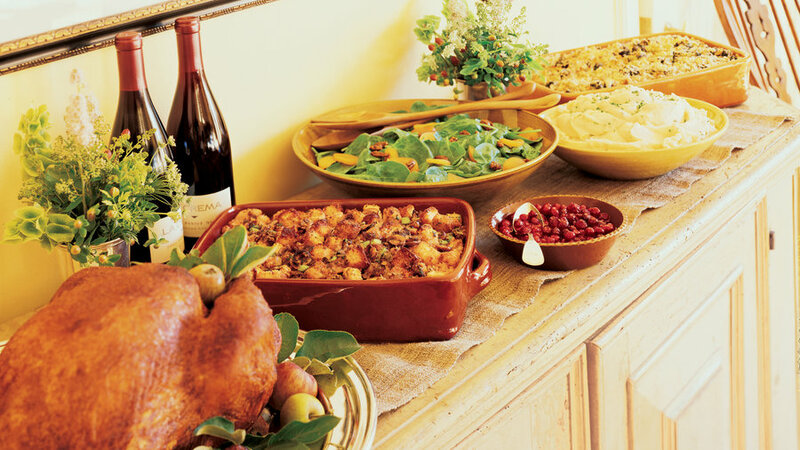 Each contributed a favorite dish to the fresh, abundant feast. 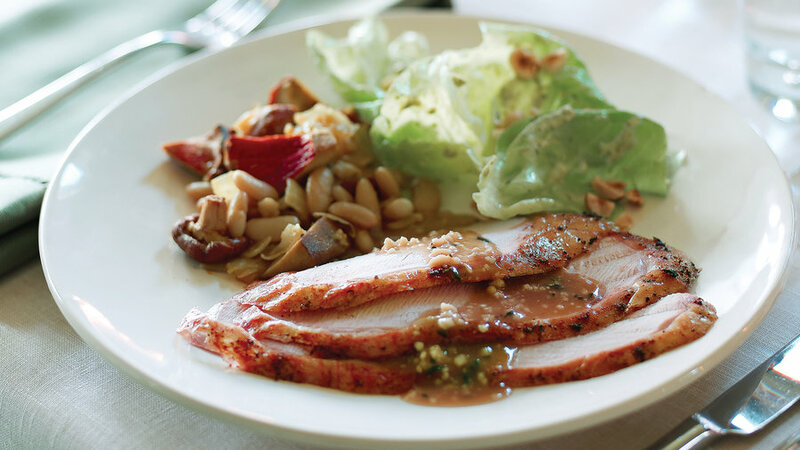 Fall fruits and nuts abound in this fresh, inventive twist on the classic Thanksgiving meal. 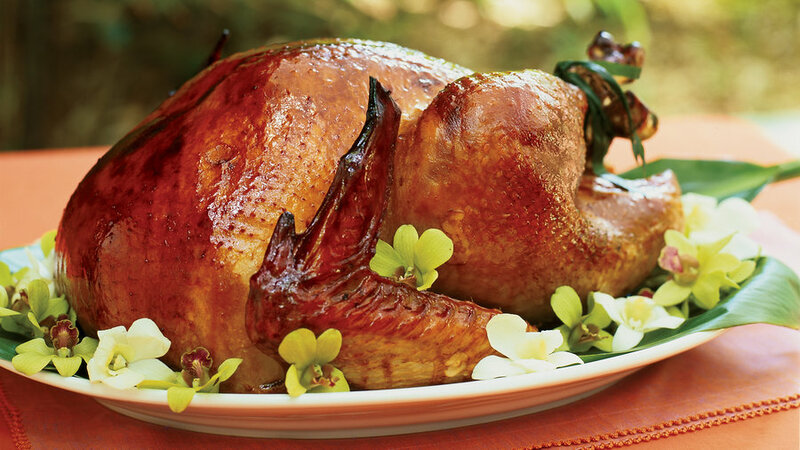 Coconut, papaya, and other island staples give the recipes in this Hawaiian Thanksgiving menu an exotic touch. 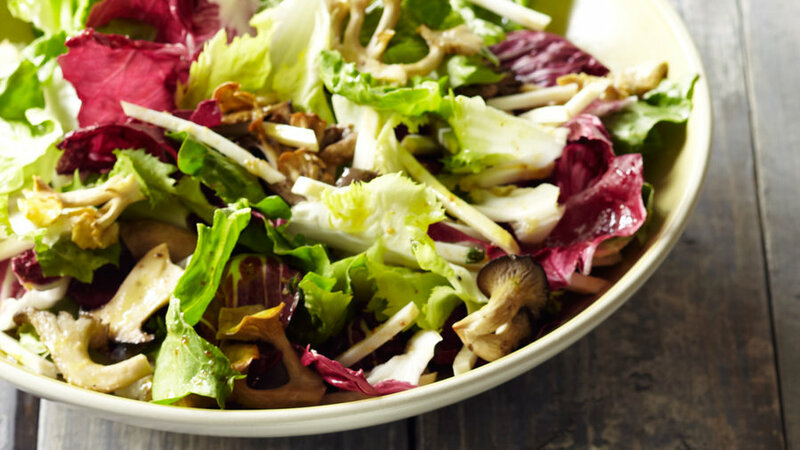 This version of the classic feast is brimming with the Northwest's bounty of hazelnuts, mushrooms, and fresh herbs. 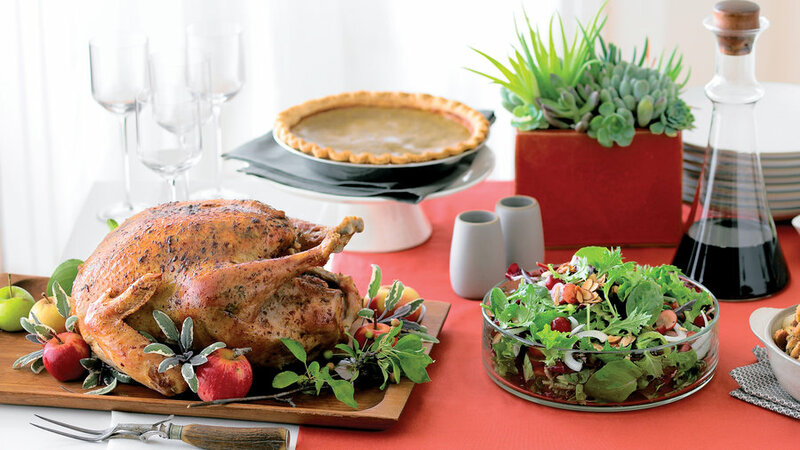 Rich colors and deep autumnal flavors shine in this rustic Thanksgiving meal. 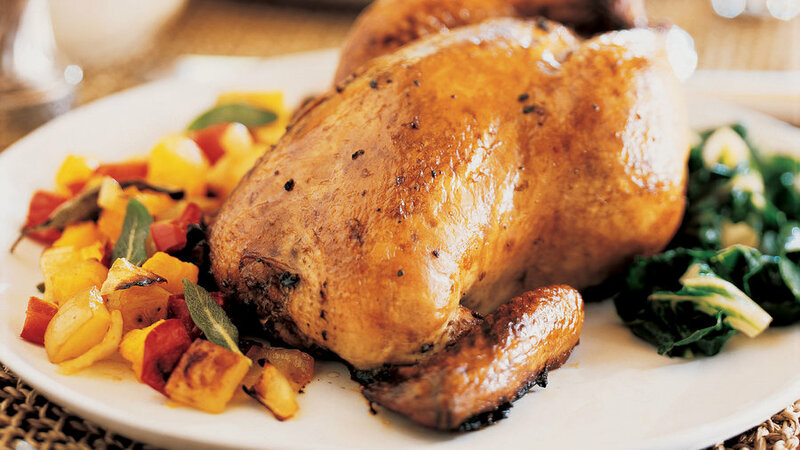 Traditional turkey gets replaced with cornish game hens for a pared-down Thanksgiving dinner that's perfectly suited for two.